Join us for the iconic Brewmaster Club at Point Royal! 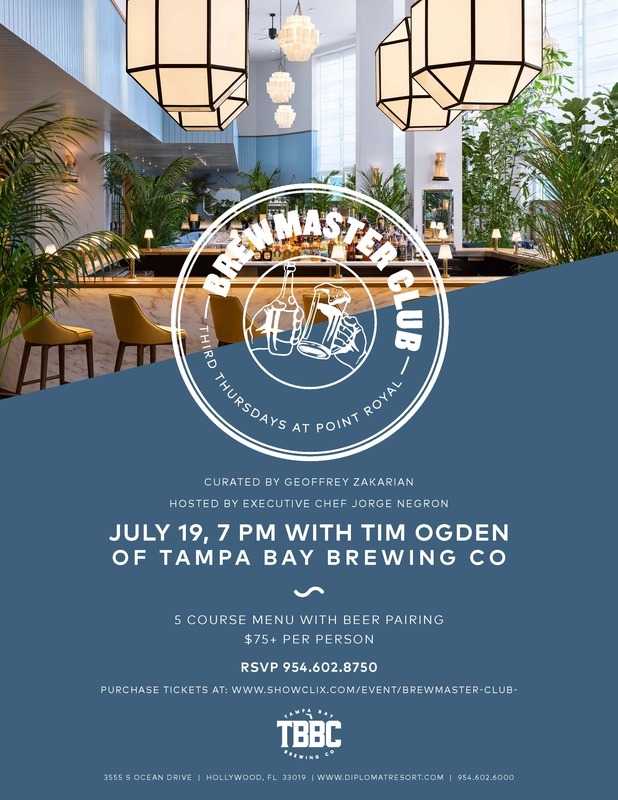 July 19, 2018 with Tim Ogden of Tampa Bay Brewing Co. Enjoy a 5 course menue with beer paring. Hosted by Executive Chef Jorge Negron. **Pricing is subject to applicable tax. **Please note, all tickets must be presented at Point Royal.